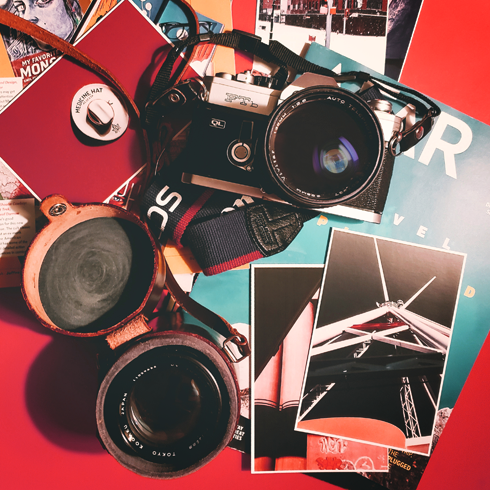 As a travel photographer who shoots images all over North America, it's par for the course that my work will show up in some interesting places from time to time. Most often it's with little fanfare - a business transaction or something my name isn't attached to - but hey, a sale is a sale. 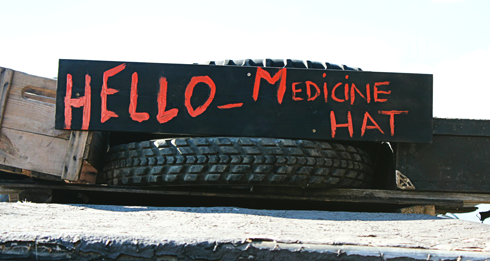 When Editing Luke became a full-time operation in 2014, one of the interesting talking points when I traveled was the fact that I based my production company out of a small city in Alberta called Medicine Hat. While it's not exactly the middle of nowhere, when you're speaking to people who have never heard of it it can certainly seem that way. Perhaps surprisingly, I've found being from a smaller city has not only made it easier to standout locally, but abroad as well. The last few years have been pretty monumental in terms of my growth online and the opportunities that have come my way. This is perhaps best reflected in the response and support my work has received in my own hometown community in that time. But words are cheap, so why don't I show you? 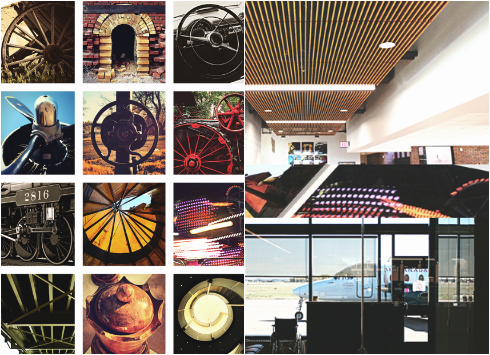 Here are 9 places that my work (the photography of Editing Luke / Luke Fandrich) has appeared in Medicine Hat, Alberta. Unveiled following the terminal upgrade in 2015, this commission features a 12 panel display in the main concourse of the airport. More here. 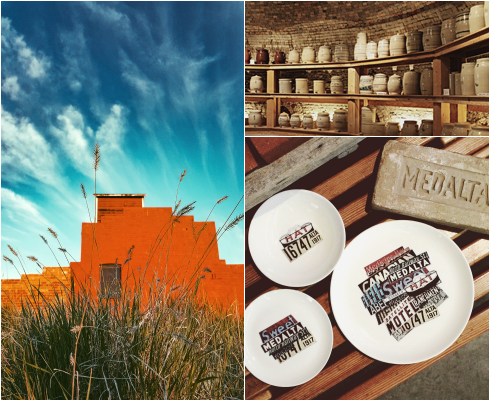 I've collaborated with Medalta numerous times over the last few years on various film projects and behind the scenes photo essays. One of my favourite highlights was being asked to create an original design that was featured on vintage Hycroft China and auctioned off during their annual Black and White Gala. The set raised over $3K for their community programming. 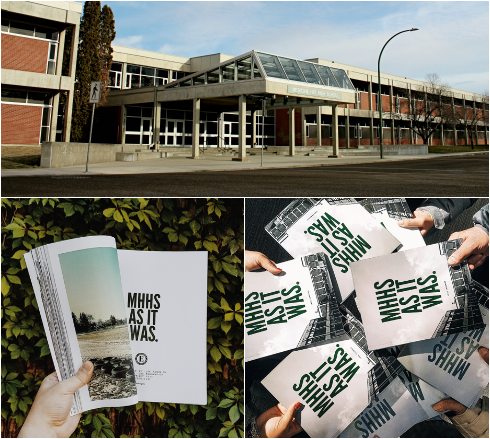 Last year I released a photo book called MHHS As It Was of my former high school prior to it be partially demolished / modernized. 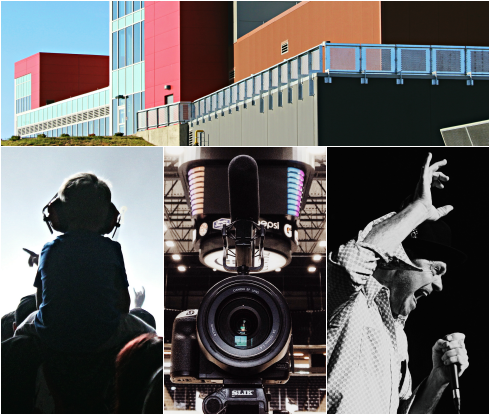 The limited edition photo book sold over 1000 copies and also lead to me being hired to shoot the final architectural photography when the new Medicine Hat High School was completed. More here. This one was actually a bit of a surprise. 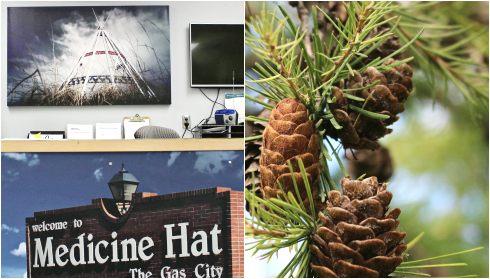 After shooting new images for the Gas City Campground in Medicine Hat, Alberta this summer, I discovered they already had a large canvas of the Saamis Teepee that I shot hanging above the front desk inside the campground office. I've frequently been asked if I've ever had an exhibition at the Esplanade, which houses Medicine Hat's premiere art gallery. I have not. However, I have collaborated with them on several film projects and actually had my work appear on the Esplanade's exterior during their 10 year anniversary. 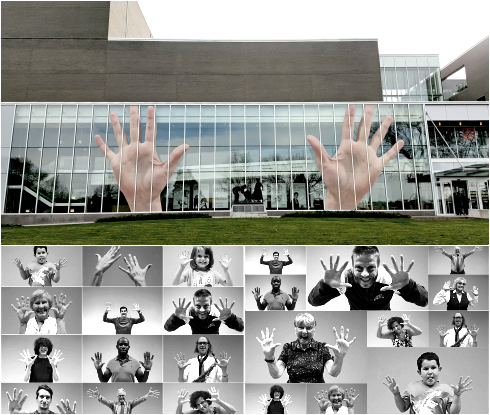 I photographed staff, community members, and volunteers holding up their hands as a sign of 10 years and one of these sets of hands ended up on the front of the building. 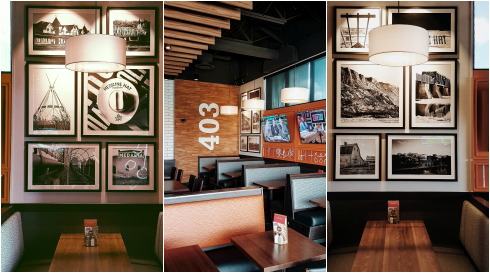 Earlier this year I was commissioned by Boston Pizza to create a collection of 15 prints for their new restaurant on Strachan Road in Medicine Hat. More here. In addition to collaborating on several videos, I've had the pleasure of working as media (as Editing Luke) to shoot concert photography for events held at the Canalta Centre in Medicine Hat, Alberta. This has included a variety of musicians and Canadian icons, including acts like the Tragically Hip. More here. 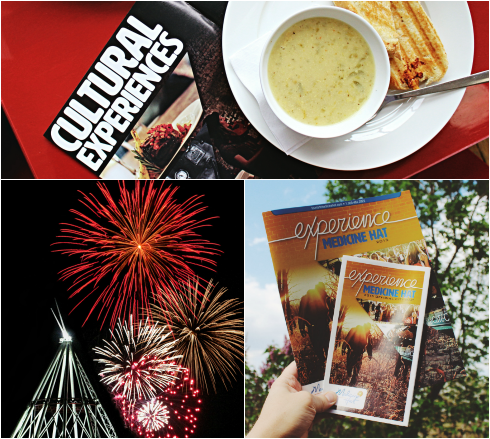 From their travel guides and maps to the postcards they sell in the Medicine Hat Visitor Centre, my photography has appeared randomly in Medicine Hat promotional materials over the last few years. 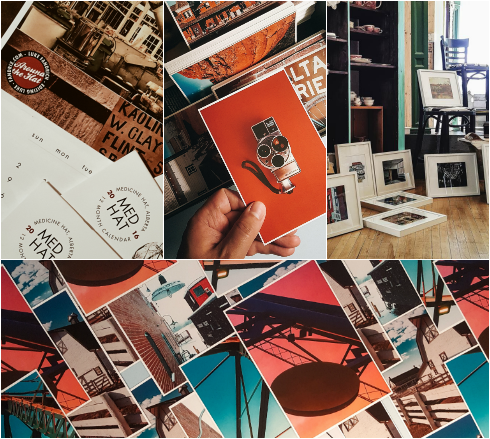 Because I'm not always certain where the images they've purchased will be used, this collaboration has lead to the most "hey, I think that's one of my shots" moments lol. So this one is pretty general, but since 2012 I have sold hundreds and hundreds of prints in Medicine Hat, Alberta alone. 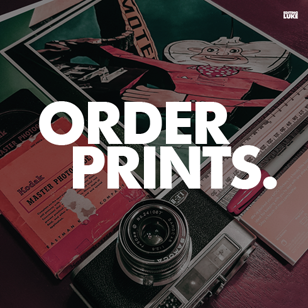 This has included poster prints, framed art prints, postcards, canvases, stickers, vinyl wall prints, signage, personalized photo books, and calendars. While some orders are pretty obvious, there's no way for me to track where all of the personal orders have ended up over the years. All I can say is that I'm incredibly thankful and humbled by the appreciation that so many have shown my work. There's really no bigger compliment than someone wanting something you've created in their home. Thank you, again and again.